Cristiano Ronaldo did not disappoint as he pulled on a Juventus shirt for the first time, scoring in the team's annual friendly against the club's youth side. Members of the industrial dynasty - founders of Fiat auto manufacturers and often called the "Italian Kennedys" - have lived at "The Castle" in Villar Perosa since the 19th century, while deceased former club chairman Gianni Agnelli was town mayor between 1945 and 1980. 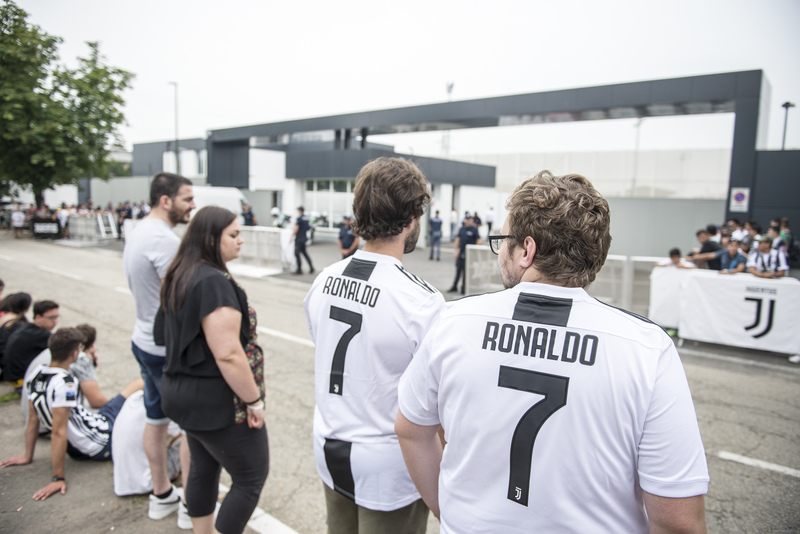 The party atmosphere in rural Piedmont threatened to get out of hand as a fan seized on the opportunity to meet Ronaldo by running on the pitch to take a picture with him during the game. Ronaldo could be set to make his competitive debut for Juventus next week when the Serie A gets underway. The former Real Madrid talisman will earn €30 million a year in Turin and in the meanwhile, has penned a four-year deal worth a whopping €120 million.